This is the most visited city in the country of Nicaragua, meeting point and connection from Leon, Managua and other tourist destinations inside and outside the country. For its beauty is known as the Paris of Central America. 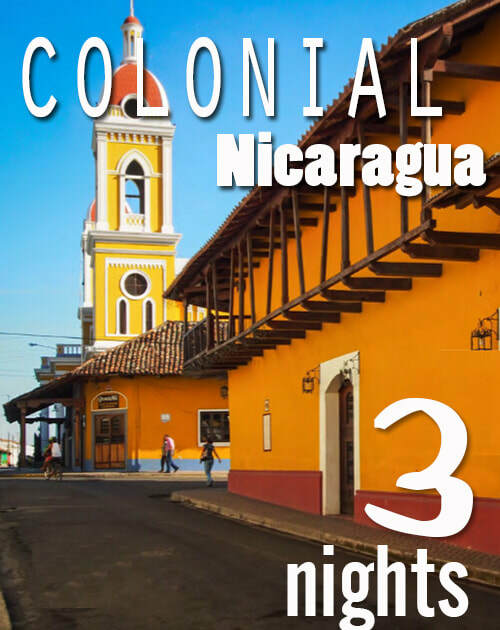 It was founded in the year 1524, making it the oldest city of the two colonial cities that Nicaragua possesses, always framed but at the same time with its historical rivalry with the city of Leon, but Granada is the first city in continental territory American. The city in addition to being part of the Spanish coquista, was registered like city in official registers of Spain, its departmental head is Granada city that counts on a population around the 200k inhabitants. Its tourist attractions are several, its proximity to Lake Cocibloca, also known as the sweet sea or the great lake of Nicaragua, sailing its waters is one of the attractions and activities that the city of Granada offers its visitors. Its extension makes it the only lake with sharks and waves and tides similar to those of the sea. In the middle of the great lakes of Nicaragua is also very popular with visitors visiting the islets and granada of volcanic origin. Its economy is diverse, between industrial activity by the processing of sugar and alcohol distilleries, because Nicaragua is famous for its delicious rum drink based on cane sugar, fishing is also part of its main activities as it is at the Borders of the great lake, besides the tourist activity for being the most visited city within the country. Among the tourist attractions to visit within the city are different parks, squares and palaces where festivals and international fairs that promote art and culture are organized. For being one of the most important cities of Nicaragua at political, economic and tourist level, the connections to Granada are quite efficient and variable, there are public buses as well as tourist buses more comfortable from the city of Managua and the international airport, Proximity is also accessible by taxi service and private transport. There are also bus lines in different cities such as Leon, Rivas that travel frequently and daily to Granada. The city is a meeting point, so the connections are multiple.